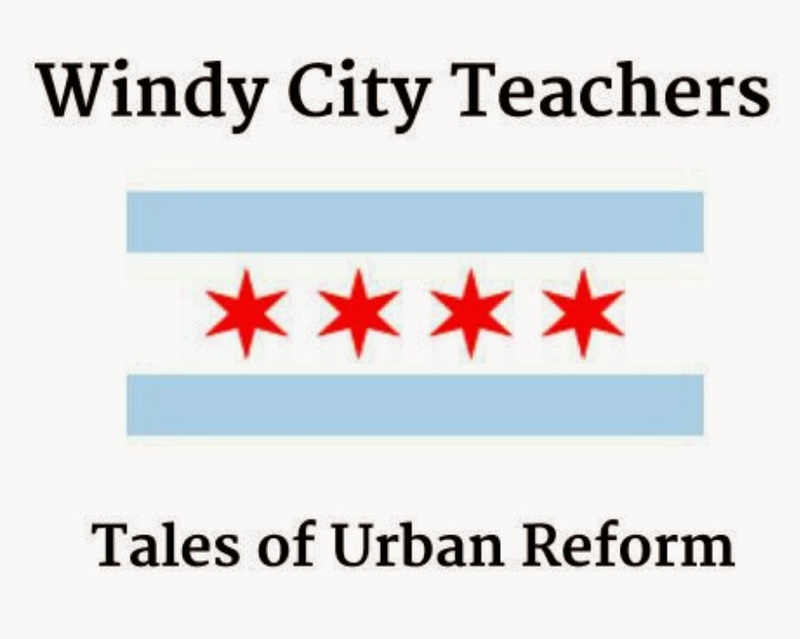 Windy City Teachers: Tales of Urban Reform: Alert! Profiteer Gets Feathers Ruffled! 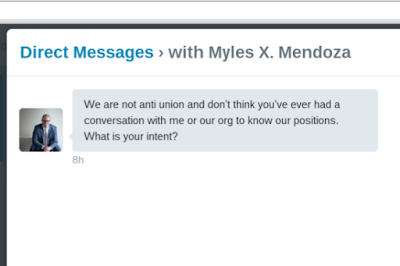 Apparently Myles Mendoza's only quibble with our June 7th post is the observation that the organization he heads up--One Chance Illinois--is anti-union. Our one measly observation that ed-reformers are only anti-union in urban areas seems like chump change compared to the notion that OCI is a self-enriching organization fueled by elitist guilt that peddles unproven initiatives. But, okay, let's talk about how not anti-union OCI is. Surely, if One Chance Illinois were not anti-union there would more than just established and up-and-coming profiteers on their advisory board. These people are policy advisors who, "assist One Chance Illinois in setting its policy agenda...and provide national perspective on effective policy making." Certainly, an organization whose philosophy claims to, "...not favor one type of school over another..." would have a robust collection of advisors to reflect all of the many educational choices they keep shoving down the public's throats. Thomas B. Fordham Institute (Chad Aldis) - A conservative, education policy think tank whose mission describes students being held hostage by, "...adult interest groups, including but not limited to, teacher unions." No mention of mandated tests like PARCC that literally held students hostage for hours this winter and spring. The Clayton Christensen Institute for Disruptive Innovation (Michael B. Horn) - Paging George Orwell! After we consulted our Newspeak dictionary, we found this non-partisan think tank refers to products, services, brick-and-mortar schools, and customer needs. Not one mention of students or teachers. DFER Illinois (Rebecca Nieves Huffman) - An organization notorious for union bashing. In September 2012, a Tribune article linked DFER as a sponsor of anti-teacher ads during the teachers' strike. Most recently, DFER-Illinois put money behind aldermanic candidates in wards with CTU candidates running. Digital Learning Now (John Bailey) - A national initiative of ExcelinEd whose goal is to, "...create a high-quality digital learning environment." No mention of providing students with high-quality educators. We will spare you the rest of the organizational profiles of this twenty-nine member panel. The lone representative of public education is the Debate Director from Evanston Township High School. Hopefully his expertise in making a reasoned argument is used to advocate for equitable funding and experienced teachers in all of our schools so students and families are protected from the whims of education reformers who feel emboldened by their moral crusading for the civil rights issue of our time. Oh, and the intent of this blog should be clear from the previous 90 posts WCT has published: we are public educators who are disgusted with the corruption, insincerity, and sanctimony of the education reform movement.